Garbage is my favorite band... since the Beatles? Now available on Facebook, too. 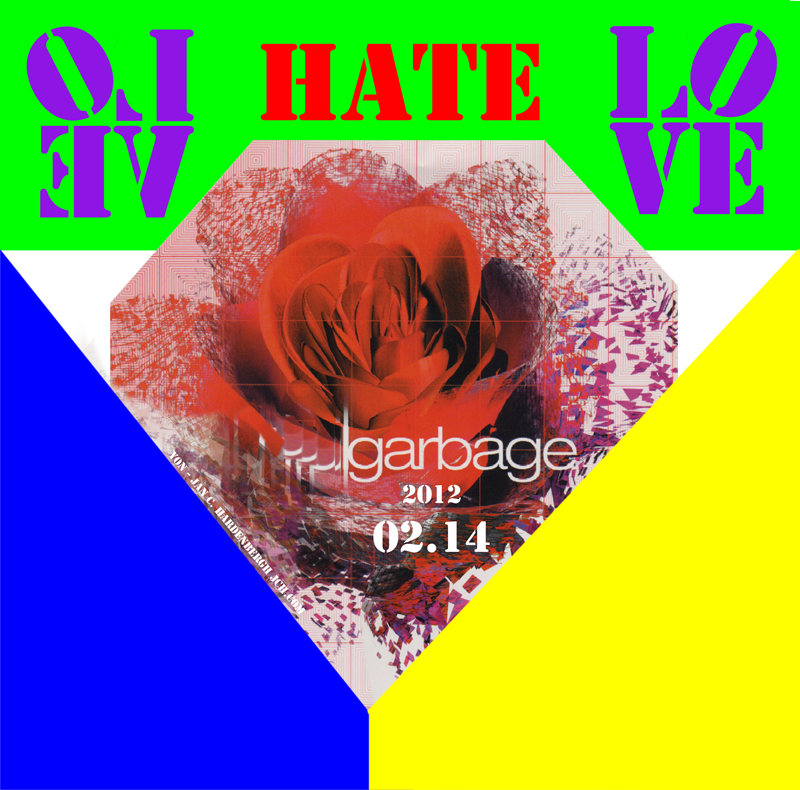 From garbage.com: Our first new album in 7 years, "Not Your Kind of People" will be out everywhere May 15. Duke Erikson, Shirley Manson, Steve Marker, Butch Vig are Garbage. Steve and Butch started Smart Studios "in the mid 70s", Duke came to work there. When these three producers needed a singer, they found Shirley. The rest is history/chemistry/our blind luck!!! From Left to Right: Duke, Steve, Shirley and Butch. Each an essential part of the chemistry. The key is emotional intensity. The words, music and delivery convey emotional intensity. Usually dark, but always strongly evocative. The richness of the music is amazing! On the Absolute Garbage DVD it says they have some songs that have 120 tracks!!! The mixture of smoothness, chaos, new, old, slow, fast, fruity, yet dry! The early core has a very synthesized feel, especially Vow - not some GEEKy hollow sound, either. Lots of songs have a classic rock sound; Special is an example. The mix of dissonance and perfection is fun - it reminds me of the Beatles You Can't Do That. The new Tell Me Where it Hurts with a big band sound + classic sixties. I'd love to hear a good music critic go over some of the songs and point out counter points and key shifts and stuff like that. I'm sure they would have a field day. Every song on every CD is a great song! This means you can listen to each CD over, and over, and over again and never get motivated to eject it. I listened to Version 2.0 in may car for my 50 minute commute for about a year! Albums at garbage.com. However, the garbage.com site got "improved" in 2004 and it is kind of funky. A simpler list of albums is garbage-online.com/discography. Another fan site: garbagediscobox.com, from which the image above hails. Garbage Facebook site, the official site for 2011/2012. Version 2.0 1998.05.12 Start with this one. If you buy this and don't like it, I owe you a beer or equivalent beverage. Beautiful Garbage 2001.10.02 Released less that a month after 9/11, bringing some semblance of Reality back to reality. Absolute Garbage DVD with a tiny appearance by Kelly Slater, bodysurfer & surfing champion. I have a CD titled Maximum Garbage with some history. Put out by Chrome Dreams in 2001 - not authorized by Garbage. Interesting. The song Till The Day I Die from Beautiful Garbage is the quintessential Garbage song. Like all Garbage songs its beginning invites you in to the song. This time with a little bit of Portis Head spinning sampling. Their all time great beginning is Temptation Waits, which leads off Version 2.0 - first the bells, then the rhythm, then a few words, and then everything bursts in with the word wolf. Any way, back to the song at hand. Classic beginning. Falsetto vocals, twanging guitar, cerebral, then BANG, the driving relentless guitar! Typical of the clarity of love, the strength of love. When Shirley is singing, there is no doubt it is real, and real strong. The chorus tries to get started, but peters out. Who knew! Typical of the dark moods evoked by their music. Holy Jesus; Holy Rock'n'Roll - This sticks in my head. Delivered masterfully. Garbage songs often portray a clearly strong, even overpowering emotional commitment to a relationship. That is one of the things that attracts me. These words are masterful, especially 'something so beautiful it hurt deep inside'. I'm not even sure I grok that, but it hurts deep inside. This is the dark, the ambiguity, the strong emotional bond, the flawed, sometime obsessive love that Garbage dishes out so well. Yes, it is hopeless, but, I will love you till the day I die. Subject: Garbage (@garbage) is now following you on Twitter! Garbage @garbage is now following you (@bodysurfinyon).